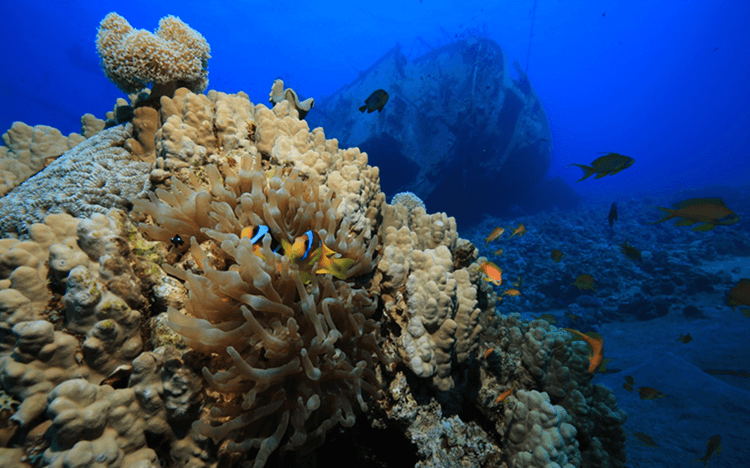 The Cedar Pride is the most famous dive site in Jordan. 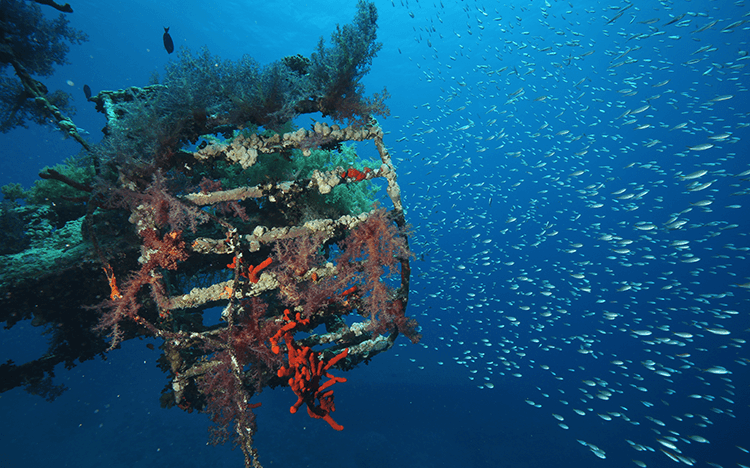 A cargo ship wreck approximately 70m length, lying at 30m depth on two beautiful reefs. The Cedar Pride has been sunk 30 years ago on November 16th 1985 for all the divers. 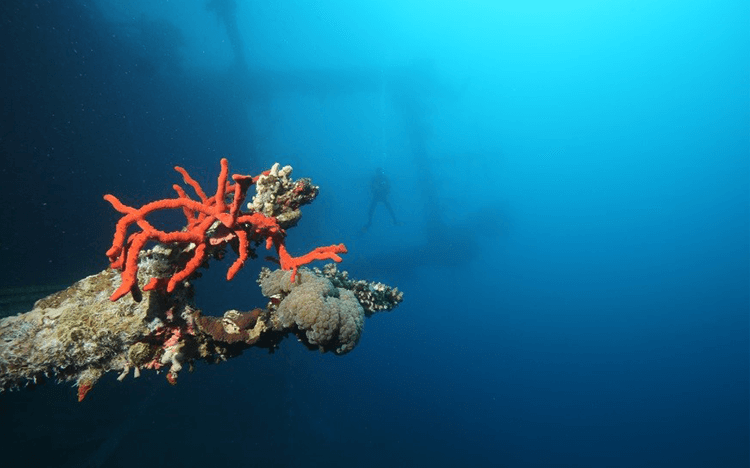 The wreck is ling on its side at 30 meters on top of two reefs and is between the two dive sites: Rainbow Reef and the Japanese Gardens. 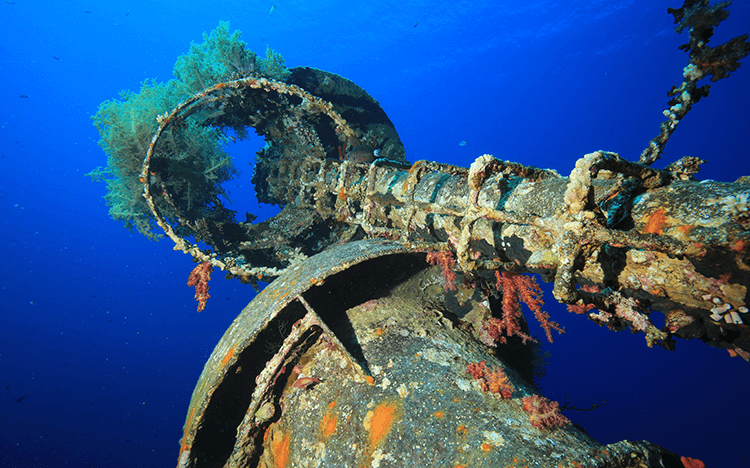 Its mooring line is located at the stern and offers a stunning view of the wreck once you descend. It is a great dive for all experience levels, the beginners can stay on the top and admire the beautiful soft corals on the shallow part while the more experienced can even go underneath and penetrate the inside. For the ones very adventurous, they could go inside the wreck where there is a bubble of air. Watch out to keep your regulator in the mouth though! The Cedar Pride is ideal for photographers as it is covered with lots of soft and hard corals and attracts a lot of marine species. It is very common to see turtles or Napoleon there.